And so it begins for the fifth year - The 31 Day Challenge. I'm both excited and terrified here on the first day. Excited about the thought of finishing the challenge for the fifth year, and looking back at the collective body of work I create, and terrified at the prospect of doing a blog post every day. 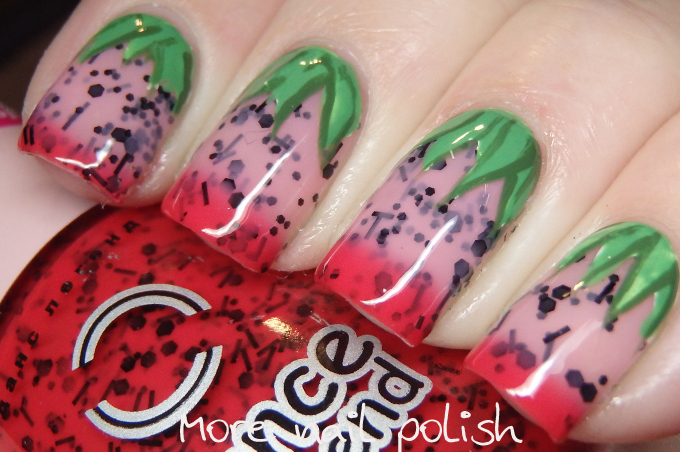 I'm starting with a few mani's in the bag, I've already finished the first 10 days! Whoo hoo, I feel like a winner already, especially considering I've only painted about 5 manis, with the other 5 having already been ones I'd done earlier this year, not yet posted and fit a prompt perfectly. 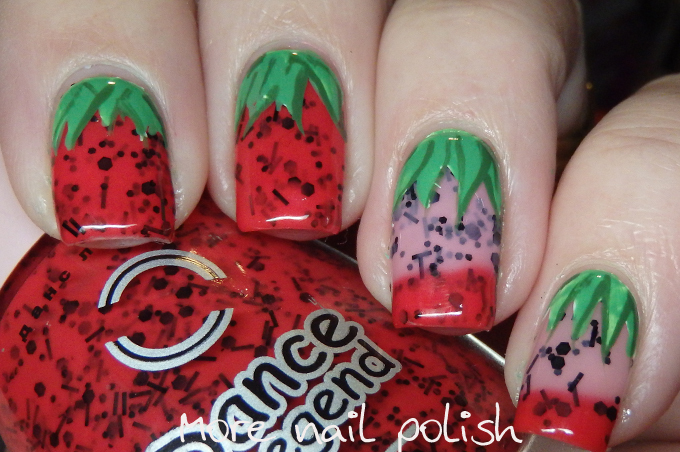 I start the red prompt with some strawberry nail art. Some are delightfully ripe, others need to ripen a bit longer. Ha Ha. 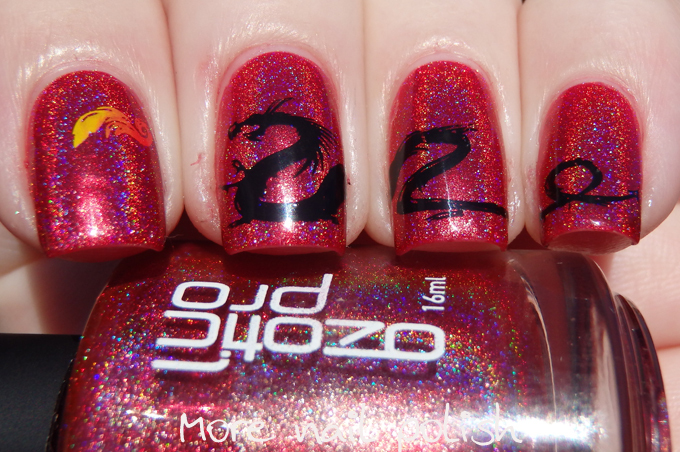 My base polish is a thermal polish from Dance Legend that goes from bright red when old to a pale pink when warm. It also has a mix of black glitter, small and medium sized hexes and some bars. 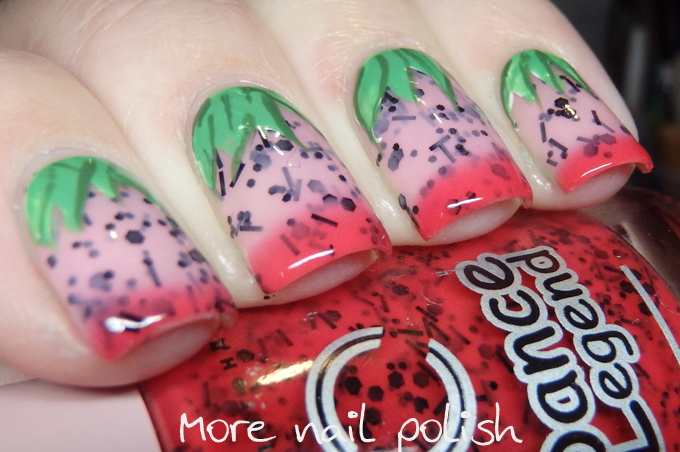 The polish is number 179 from the Thermo Shine range. 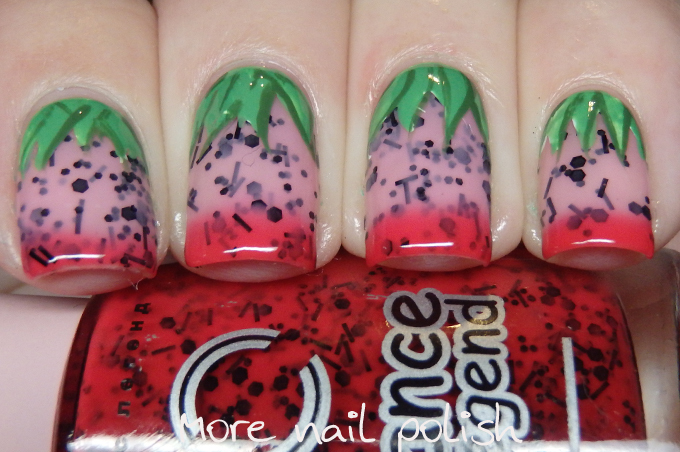 To turn it into nail art rather than just a swatch I just added the green calyx for the top of the strawberry. 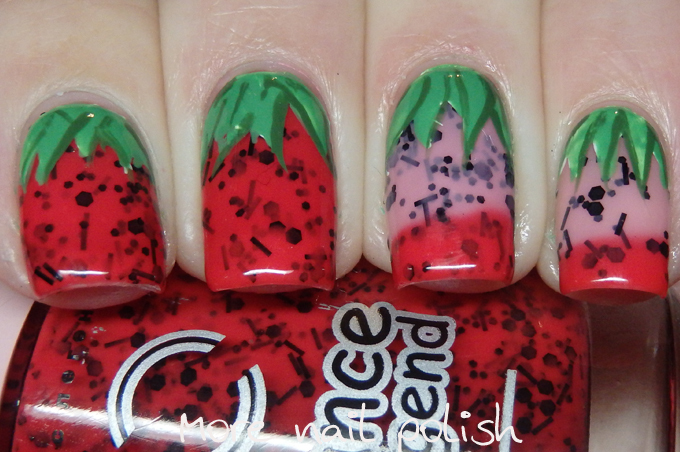 I'm feeling pretty clever about turning this into nail art so easily. 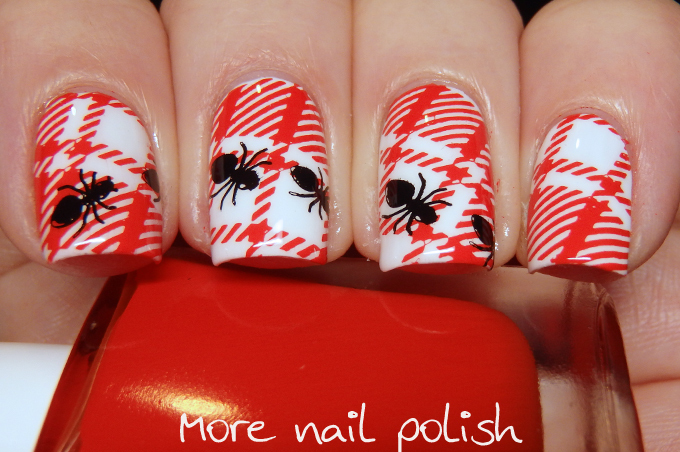 My Red nails from 2013, 2014, 2015 and 2016! This is incredibly beautiful and smart thinking! 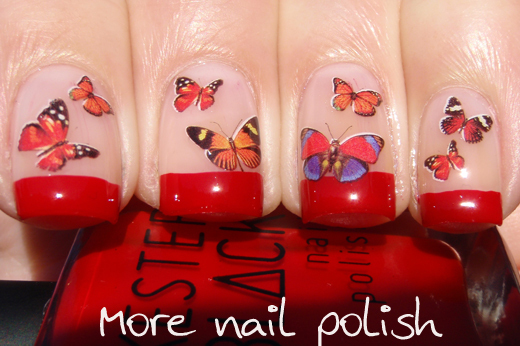 what a great idea to use a thermal polish!! Haha this is so clever!